Founded in 2007, the company’s Yacht Brokerage is situated in Bognor Regis, West Sussex in the United Kingdom and in Chateuneuf-Grasse on the Côte d’Azur in the South of France. Whether you are looking to build a new yacht from a major builder or you are looking for a used boat; we have an extensive range of Motor Boats and Sailing Yachts from 10 to 20 metres, yachts larger than (or with a value of more than € 500,000) that are brokered through Ocean Independence. We need motor and sailing yachts to sell as we have a number of clients looking for boats through Power To Sail, contact us for a no cost valuation. 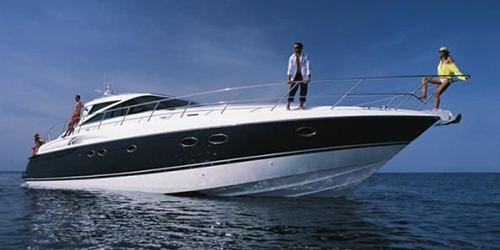 Our team has professional experience in yachting for more than 30 years. Our extensive network of affiliate yacht brokers is key to providing an excellent service for our clients. Honesty and integrity are our key values. We like to be open and straight-forward with our clients in order for them to be able to make good decision based upon good information. Yachts listed will be verified as being actively for sale – most are Central Listings, exclusive to Power To Sail – when yachts are described as ‘Open Listings’ it means that other brokers may be trying to sell the yacht as well. We enjoy our work and we are ready to be at your disposal at any time. We have conducted hundreds of transactions over the years and we relish the challenging yachting business environment we find ourselves in now. Our clients are our first priority. We believe the individual approach is the only right way in yachting field. We value and respect each client and we do our best to satisfy all your needs. Our exemplary service can be offered in two principle languages; English and French. For all other languages we work with native speakers who also speak English for translation. 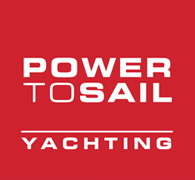 Power to Sail is a full service yacht company offering yachts for sale and marina berths for sale in Antibes, South of France. Covering Port Vauban, Nice, Beaulieu, French Riviera, St Tropez, Mandelieu La Napoule, Cote d'azur, Cannes, Monaco, San Remo, Marina degli Aregai, La Spezia, Port Mirabello and Rome.